This is a list of components I have used to build the Piranha Flight Simulator System. This list contains the current price and specs as of November 2010. The links displayed point to the sites were I found the information. They do not reflect affiliation. As part of Saitek’s continuing expansion of its Pro Flight range, the Switch Panel adds value and realism to a flight simulation setup. The Saitek Pro Flight Panel provides a set of switches and a LED panel for controlling the autopilot feature of Microsoft Flight Simulator, auto Throttle, Flaps and an elevator Trim wheel. There is a dial used to adjust the frequency incrementally. This unit is compatible with Windows XP/XP64 and Vista. Works with Microsoft Flight Simulator X and 2004. CH ProPedals USB also feature smooth gliding motion for precision rudder control input. With your feet sitting on a set of CH ProPedals you’ll be able to master crosswind landings, make properly balanced turns and control your aircraft during taxiing, the way it is done in real life? with your rudder pedals. Windows 98/2000/XP ME, Vista, iMac, or Mac (with USB port*) compatible. Sliding motion of forward/backward gives rudder input for the “yaw” axis. Heel-toe motion gives differential toe braking control. Toe Brakes tested and fully functional in the “Fly!” flight simulator (PC Version), Microsoft Flight Sim 2002 and Flight Sim 2004, X-Plane and other civilian and combat simulators using DirectInput control. I went with this option. The controls look and feel more realistic, they also work better with my cockipt configuration. Single USB connection. Compatible with Windows XP, XP64, Vista, Vista 64 and all Saitek flight control products. I went with this option because the seat is not on wheels. If you are using pedals and you have a seat with wheels, the seat will move backwards. Not fun. The COCKPIT SEAT is comfortable, light and is designed to complement our cockpits. In addition, the standard height allows the usage on any computer desk. If you use rudder pedals a steady seating position is essential for a satisfactory control performance. The arm rest has vertical and forward/ aft adjustment for the various aircraft controller configurations. Place your elbow on the armrest and use your controllers by moving your wrist for a more precise aircraft control. I went with this option primarily because of cost. I found two office chairs that feature a high back and arm rests. I locked the wheels to prevent the chairs from rolling. They are very confortable. You can see pictures of the chairs on this blog. Two-button touchpad takes the place of your mouse. Includes embedded numeric keypad and function keys. Silver and black fits in with today’s contemporary systems. The Bass shakers produce low bass that is felt and not heard. Primary System: This systems runs Microsoft Flight Simulator X, Flyware FsXPand and WideView Server. This system displays the front view on three 22″ LCD monitors using the Matrox TripleHead2Go adaptor connected to the primary port of the video card. The secondary port on the video card is used to display the GPS to two 15″ LCD monitors attached to a VGA Splitter. Secondary System: Running PFD Avionics using Flyware FsXClient. It displays the information on two 15″ Monitors using a VGA Splitter. There is a another monitor (19″) attached to the secondary video card port that replicates the view for the monitoring station. Tertiary System: Running EICAS Avionics using Flyware FsXClient. It displays the information on a 14″ Monitor. There is a another monitor (19″) attached to the secondary video card port that replicates the view for the monitoring station. 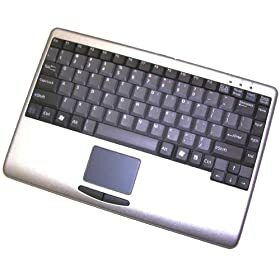 23- Standard Keyboards (three units needed) – Required for the Monitoring Station (Attached to the Secondary and Tertiary Systems) and for the Quaternary System.